thanks for the tips! both recipes sound delicious :) did you ever succeed in finding fennel pollen in austin? i'd love to try it out at home! 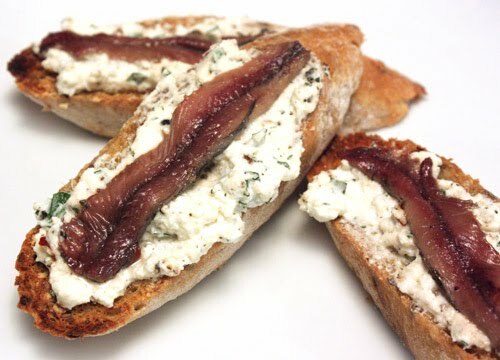 These anchovy Crostini sure taste as great as they look! Arielle: I still have not seen fennel pollen in Austin, and I ended up placing an order online. I really love it with chicken. bottarga - hmmmmm time to google - those anchovies look nice and plump! Fantastic looking crostini! I've never had bottarga, would love to try! These are great appetizers!!! I love the anchovies on top. I recently just got into them over the last couple of years and now I love it. 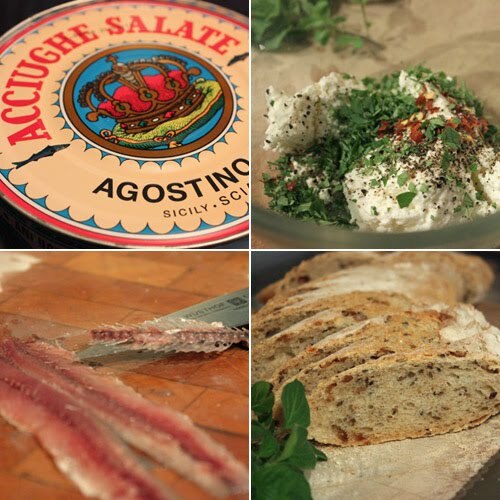 I've never had bottarga.. but am more than willing to try your recipes! Guess it's online shopping for me. I know how you feel about spending an entire day looking for an ingredient when you have so many places available that SHOULD have it! I end up at Amazon usually! fact: i have NEVER seen a full anchovy. very interesting indeed. I'm sure the flavor is outstanding. Anchovies are a great flavor enhancer. Sausage Debauchery is awesome, and your recipe, well that looks pretty awesome too. Of course, anything inspired by the Zuni Cafe gets a thumbs up in my book. Cannot wait to check it out. I've never had anchovies be the star of the show before! A very different and interesting recipe. I think I would like it! This sounds like a very interesting appetizer. Sometimes the more stores there are, the harder it is to figure out where to find what you're looking for. I find that is often the case in NYC. I know there must be somewhere that sells fennel pollen around here - but who knows where? These crostini look delicious - and they better have been after all the effort you went through to make them! Delicious crostini! I just recently discovered that I love anchovies after turning my nose up to them for years. I never had bottarga either - but I bet it was a treat with your eggs. Just this week I ordered seeds for the wild fennel plant. Once I get that up and growing, I hope to harvest the pollen. If the plants and i ARE successful--and when you run out of what you purchased online--I'd be happy to share. It looks absolutely amazing, I am a big anchovy lover. 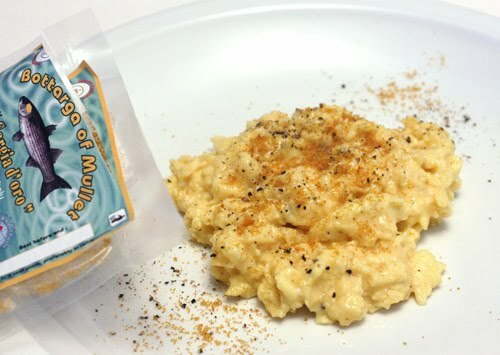 The bottarga must have added deep layers of "unami'....yum yum yum yum yum. What a unique crostini! I'm the same way about ingredients - I will shop until I find exactly what I'm looking for!